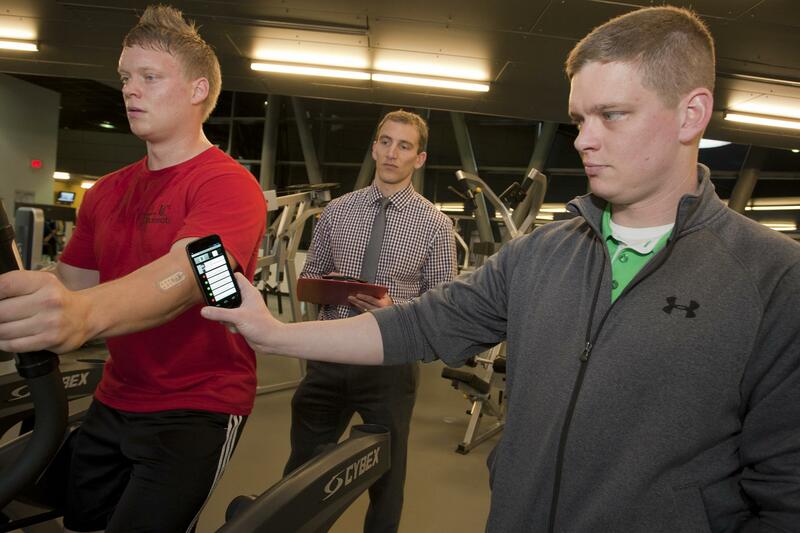 UC researcher Jason Heikenfeld, center, tests the sweat-sensor communication with a smart phone. At right is student Daniel Rose. At left is Dan's brother, Roger Rose. 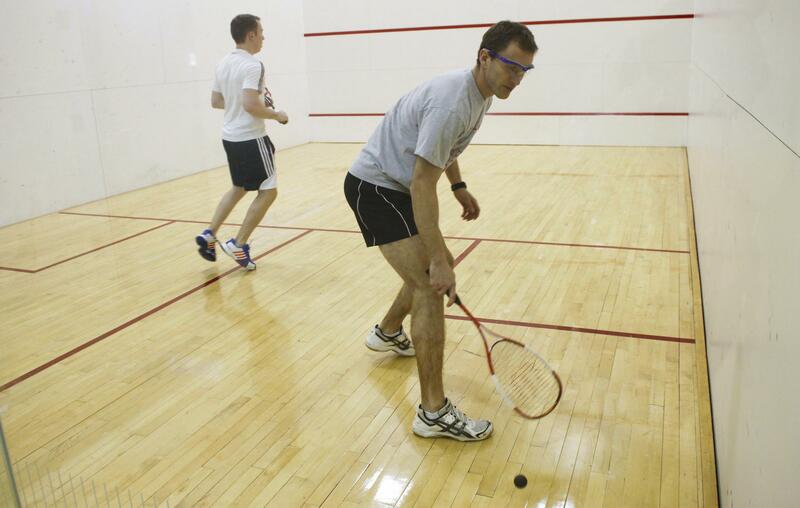 The patch uses sweat to detect biomarkers, like in this game of squash. Jason Heikenfeld (center) with two of his students in the lab. A closer view of the patch. The Star Trek way was to detect information about the unknown with a hand-held device. It could scan for geological, meteorological and biological purposes. Imagine monitoring your own health and diagnosing disease with just an electronic patch and a smartphone. It’s in the works inside a UC lab with initial funding from the Air Force Research Lab at Wright Patterson Air Force Base and 20 other partners. 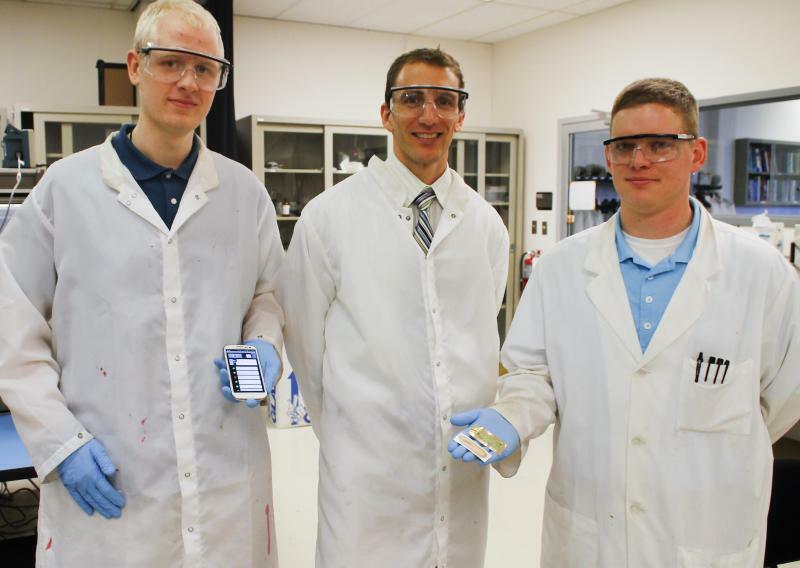 Unlike other so-called “tricorder devices,” this one uses sweat to determine medical conditions. New findings suggest that most of the biomarkers found in blood are available in sweat, in some cases at higher concentrations. So that means if you have an illness or condition, you can detect it with a couple of drops of sweat. No needle, no complications. Developer Jason Heikenfeld is a UC professor in the school of electronic and computing systems. In the past sweat has been saved for things like sensing electrolyte balance. But since it can show almost everything blood does, Heikenfeld is banking on this easily accessible fluid and recently tested people on a treadmill. The first has no electronics and is based on paper and plastics. It collects sweat on a bandaid every two minutes. 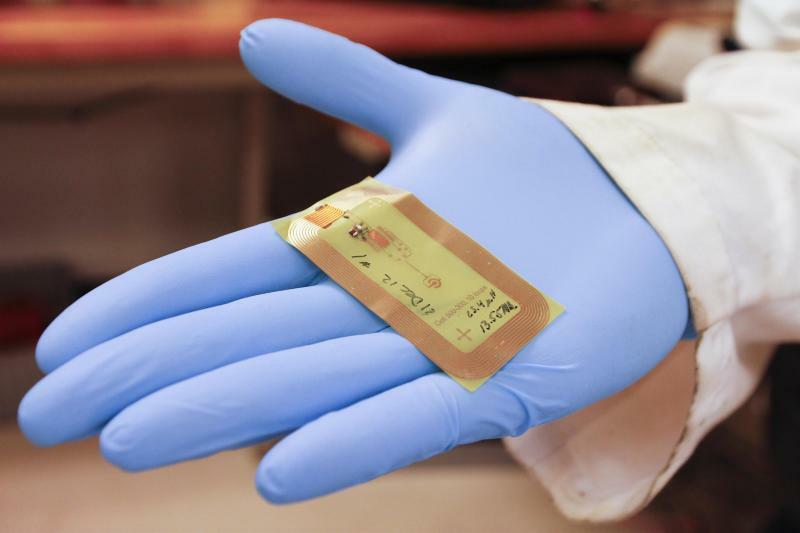 The second sample is designed to replace blood draws at the doctor’s office. It stimulates sweat and then an instrument reads it. The third is for first responders. It has a strap with sweat stimulation and detects and diagnoses a stroke in less than 5 minutes. The final version is the tricorder. 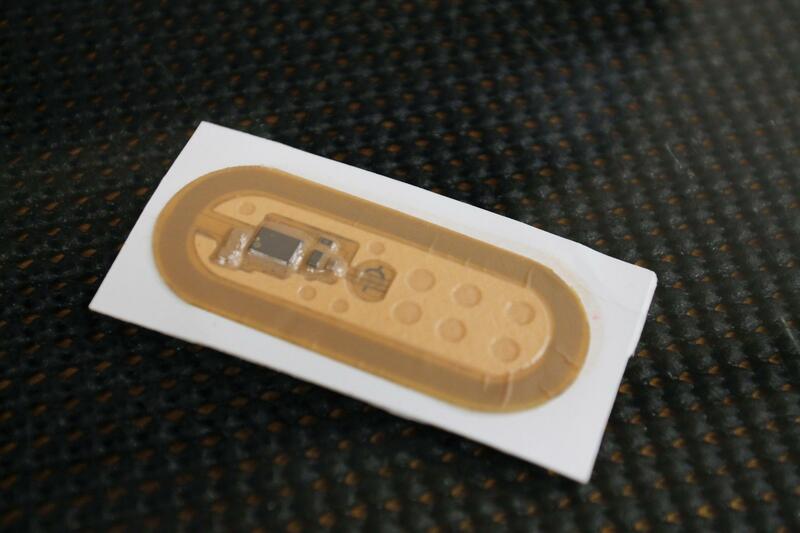 It’s an electronic patch that communicates the information to your smartphone and potentially to your doctor. The Air Force sees plenty of military applications. On the battlefield if a chemical agent has been released the device could potentially detect exposure and warn to get everyone out of the way as soon as possible. Testing on the first prototype is underway. A few of the prototypes electronically stimulate sweat, so the patient doesn’t have to.The paper and plastics patch could be on the market in a couple of years. The other patches could take 10 to 20 years before they are commercially available.